Loki – Guirmere Loki (said Low-key, not Loh-key)… Oh my gosh, I should have made his name Guirmere Low Key… Or Guirmere Lokimotion. What can I say about Loki? He is just the most amazing dog who has completely stolen my heart. Loki is everything I wanted from my next dog, and although I learnt so much with Lu, it’s really nice to just have a dog who GETS IT. Who puts 150% into everything he does, who has to go full speed with everything, who tries and tries and tries even though his brain has exploded and he’s tired. This sometimes also works to his detriment, as he smashes himself up with no regard to his safety, and has a tendency to scream if I’m having fun with another dog without him. He is not only super speedy and super drivey, but he is super sweet. He’s the sweetest guy who will come and plonk himself right on top or right beside you, drop his head and wag his tail just a little. He comes in looking for cuddles and snuggles and has no issues with lying right pressed up next to your head. He isn’t as anxious about making you sad or mad like Mallei is, but he certainly respects your opinion and does his very best to make you happy. One afternoon we were doing some running contact training. I’d just raised the height and we were having run after run after run of leaps, and no rewards. He kept trying and eventually I just called it quits, and said: “That’ll do, mate.” Loki exploded into a frenzy of licks and wiggles and was oh so sorry that he hadn’t managed to get it ‘right’ and hadn’t been the best border collie he could be. It was adorable and broke my heart. Outside of agility, Loki loves fetch. Oh lord, he loves fetch. 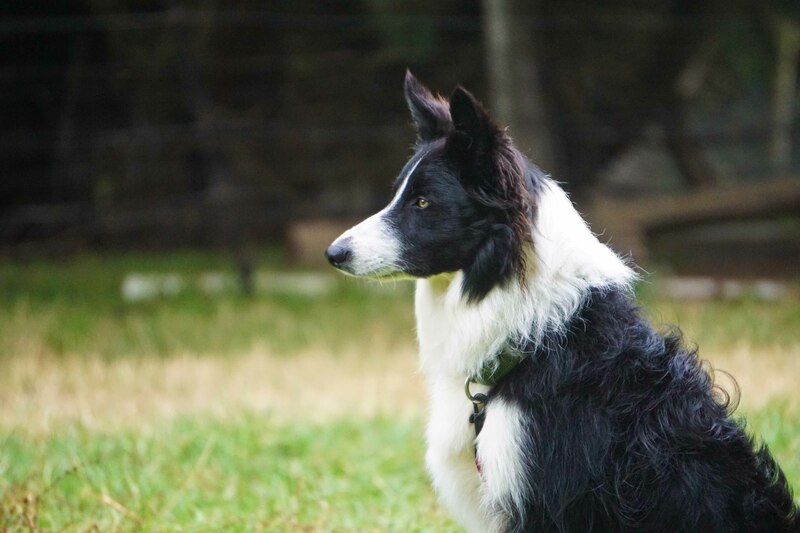 He’s such a Border Collie in this way. On our walks, he will pick up a stick and drop it on my probable path, backing up and looking at me expectantly. If I don’t pick it up, he grabs it from under my feet, runs along down the track, and drops it again. In order to throw it, I have to hold his collar in one hand, stick in the other, wait for the stick to land before I let go of him. If I don’t do this, he smashes himself up in his frenzy to get the stick. It’s terrifying. This way he’s a little more reserved and a little more thoughtful about how he’s getting through the bush. He’s also discovered that water is wonderful because it means fetch. For a long while he didn’t like his feet coming off the ground in the water. Now, he goes in of his own accord but most especially to fetch things. Unfortunately he always sounds like he’s inhaling water and choking so we’re careful how we play fetch. Loki has had one turn on sheep and was beautiful and easy to work, staying far from the sheep and not getting too sticky-eyed. Maybe we’ll do this in future, too. Ohhh look how he’s growing up so nice. Look at his nice and pointy face. 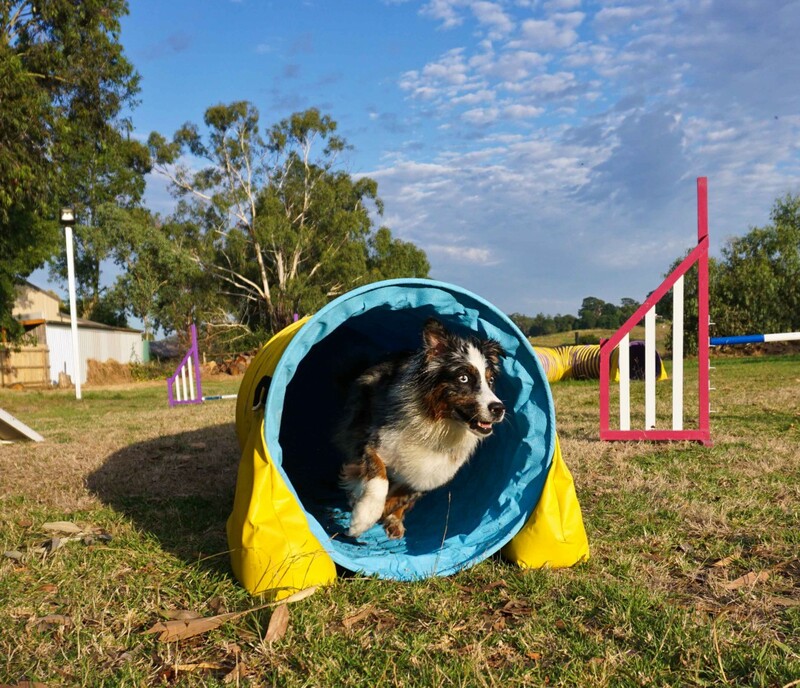 Such a happy little tunnel collie. Loki doing a wrap over a low bar. Such a good boy- these straight on approaches are tricky for him as he wants to swing out wide. LOVE seeing him get close to the wing. WTF ARE YOU POINTING AT MY FACE AND WHY DO YOU WANT ME TO STAY STILL AND HOW DO I GET TREATS!?!?!?! Where did this little fluffy puppy go? ?